In her leadership role at NEA, Lily brings with her beliefs that educators have the responsibility to take action, individually and collectively, to fight to make the promise of public education a reality and to prepare the whole and happy child to succeed in becoming a whole and happy adult. Lily is a lifelong and outspoken advocate for education policy that recognizes a whole education requires educating the whole child – mind, body and character. As one of the highest-ranking labor leaders in the country and one of its most influential Hispanic educators, she has focused her advocacy on bringing the practitioner voice into discussions on what children need and what constitutes a good teacher. Among her achievements in pursuit of these goals, she serves as a Presidential appointee to the White House Commission on Education Excellence for Hispanics; serves on the advisory board of Parenting Magazine’s Mom Congress; and recently participated in Twitter chats, engaging hundreds of parents and education leaders in conversations on parental involvement in schools and how the “fiscal cliff” will impact students, educators and families. Lily was named Utah Teacher of the Year in 1989 for her work as an elementary teacher. She worked with homeless children and gifted children; as a mentor for student teachers; and as a peer assistance team leader in the suburbs of Salt Lake City where she taught at Orchard Elementary School. 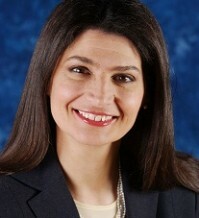 She was the first Hispanic to run for Congress in her state and has served as president of the Utah Education Association; president of the Utah State Retirement System; president of the Children at Risk Foundation; and was named by President Obama to serve as a commissioner on the White House Commission on Education Excellence for Hispanics.